When you think of the best dental clinic in New Orleans we want Exceptional Dental to come to mind. Our team of professional dentists goes out of their way to make sure you are comfortable and completely taken care of during every visit. With a wide range of services, we handle everything from routine cleanings to implants. The highest level of professionalism coupled with a comfortable environment is a must when choosing a dental clinic in New Orleans. 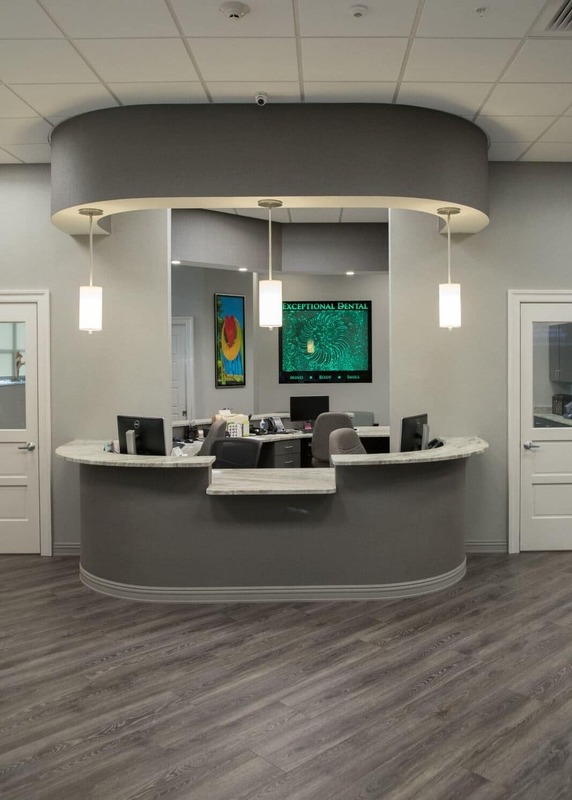 We have locations throughout the New Orleans area and around South Louisiana so even if you’re not in New Orleans you can still get the dental care that you need. Here are a few reasons why Exceptional Dental is the best dental clinic in New Orleans. Exceptional Dental has locations in Mid-City, Metairie, Kenner, and Marrero and surrounding areas. When looking for a dental clinic in the New Orleans it’s nice to know you have options in the area. All of our locations offer the highest quality of care at an affordable price. You don’t need to worry when Exceptional Dental does it all and more to put a smile on your face. Even if you’re in a different part of Louisiana! In addition to multiple locations in the Baton Rouge area, we provide a friendly atmosphere at each location. We want our patients to feel comfortable asking questions and understanding the process. At Exceptional Dental, we think that informed patients are happy patients and we do everything we can to make sure that you leave our office with a smile on your face. This includes making sure that you understand every aspect of the process. Whatever the reason for your visit, our professional staff will personalize care just for you. We are dedicated to providing the most personalized and gentle care that you are looking for in a dental clinic in New Orleans. We have high standards and provide comprehensive dental care to each of our patients. We are even here should an emergency arise and will make every effort to see you as soon as possible. We make your annual visits as convenient as possible, from scheduling to completing the visit itself. With locations spaced out in South Louisiana we can guaranty that you will not have to travel far and once you’re here we do everything we can to ensure a comfortable experience. Our dental health professionals want you to feel comfortable and know that you are being taken care of with the highest level of professionalism. Let us keep your smile going strong! Book an appointment with us at one of our Dental Clinics in New Orleans. Give us a call at 504-229-7990 or feel free to book online. We can’t wait to see you!